On June 1, 2012 the Federal Drug Administration (FDA) issued a warning to consumers against the use of the self- proclaimed dietary supplement Reumofan Plus and Reumofan Plus Premium. Reumofan Plus is manufactured in Mexico by Riger Natural. The label on its packaging is in Spanish but may be available with English labeling as well. Reumofan purports to relieve arthritis, rheumatism, and osteoporosis. It also claims to assist in preventing bone cancer. In actuality, ongoing lab tests conducted by the FDA show that the supplement potentially causes bone and muscle injuries. After receiving reports of liver injury, problems with kidney function, and irregular blood sugar levels the FDA started working with the Mexican Ministry of Health, which issued a recall of the product. Since June 1, the FDA has received additional reports of injury related to the use of Reumofan, including severe bleeding, stroke, and even death. Consequently, it issued a second warning about Reumofan on August 21, 2012. Multiple lab tests on samples of the composition of the product found three types of prescription drugs, despite the label’s assertion that Reumofan uses 100% natural ingredients. The prescription ingredients found in Reumofan are diclofenac sodium, methocarbamol , and dexamethasone. Each of these prescription drugs has serious risks and possible side effects. Diclofenac sodium is an anti-inflammatory that increases the risk of heart attack and stroke. It may also cause bleeding, ulceration, and fatal perforation of the stomach and intestines. 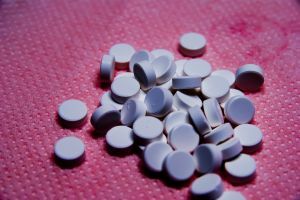 Metocarbamol is a muscle relaxant that may cause sedation, dizziness, and low blood pressure, making it unsafe to operate vehicles or machinery. Dexamethasone may cause the most adverse symptoms. It can impair the immune system’s ability to fight off infection, cause high blood sugar levels, bone and muscle injuries, and even psychiatric problems. If dexamethasone is taken for long periods or at high doses, it may also cause problems with kidney function. Furthermore, dexamethasone is a corticosteroid, and sudden discontinuation of corticosteroids after prolonged use can cause withdrawal symptoms. These symptoms include fatigue, nausea, low blood pressure, low blood sugar, fever, dizziness, and muscle and joint pain. Elizabeth Miller, Pharm.D. and acting director of the FDA’s Division of Non-Prescription Drugs and Health Fraud recommends that anyone who recently took Reumofan consult with a doctor to see whether they should taper off Reumofan to avoid withdrawal symptoms. The undeclared drugs in Reumofan can react badly with other prescription drugs and therefore put consumers who are taking medication at even more risk. The FDA has been working to identify other dangerous dietary supplements. In June, 2012 the Chicago Tribune reported that the FDA has inspected about 450 facilities that make dietary supplements in the last four years. The FDA found manufacturing violations in over half of those facilities. Violations range from unsanitary conditions to failing to verify all of the ingredients in a dietary supplement. The FDA sent warning letters to one in four of the inspected plants for serious violations. The Chicago Tribune also reported this month about Shengyang Zhou who was sentenced to 87 months in prison for manufacturing and selling dietary supplements laced with pharmaceutical drugs that sickened consumers looking for bargain prices on diet drugs. He made the drugs in a plant in China and then smuggled them into the United States and sold them on internet sites like Ebay. According to the article, since 2008 the FDA has announced warnings on about 400 different dietary supplements containing undeclared pharmaceuticals. Consumers should take heed of FDA announcements and carefully consider their current regimen of medication when thinking of introducing a supplement into their diet. Always research non-regulated products carefully and consult a doctor if there is any question. Gregory Brod is an experienced member of the Trial Lawyers Association, who practices product liability law and zealously represents clients in personal injury matters of all kinds. The Brod Law Firm helps clients in the San Francisco Bay Area and surrounding regions to fight for just compensation for harm done. Please contact the Brod Law Firm today for a free consultation.